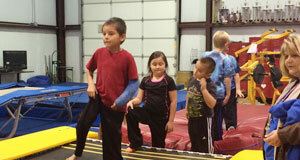 Texas Tumbling and Trampoline Institute, (3TI), offers a variety of classes for young adults and kids. We believe in respectful and positive coaching that builds a child's self-esteem and confidence. 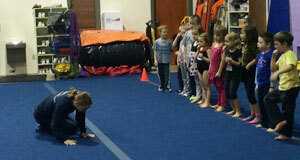 We offer Preschool, Trampoline & Tumbling, Tumble & Cheer, and Ninja Classes. Cost decreases with each additional class! At Texas Tumbling and Trampoline Institute (3TI) your satisfaction is our top priority! We don't compromise on the quality of our services. Get in touch with us today! Not sure if your child will like it? Try a TRIAL CLASS today! At Texas Tumbling and Trampoline Institute (3TI), we offer a trial class. When you register your child on our portal and select the class you want, in the box that says "active" click the drop down menu and select "trial". Your request for a trial will be submitted and an email sent to you when it is approved.